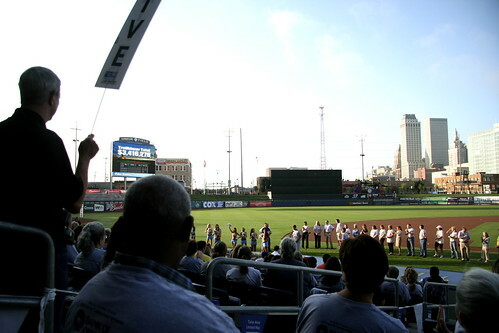 This morning marked the start of Tulsa Area United Way's 2010 Campaign to raise $24,067,551 for the Tulsa Area. 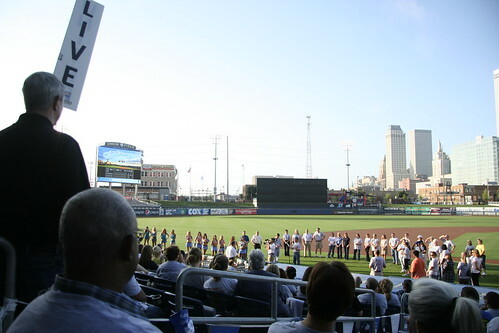 The kickoff was held downtown at ONEOK Field and we had great weather and an awesome turnout. 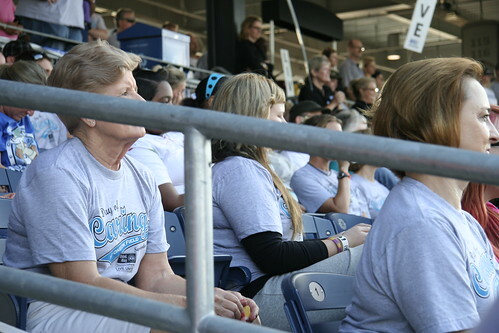 Hundreds of volunteers got together to celebrate the start of the annual campaign before going out into the community and working on volunteer projects at TAUW's 61 partner agencies. As part of the program, the 2010 Trailblazer companies (local companies that run early United Way campaigns) announced their total of $3,416,278! And a side note, for those of you who don't know, I work at the United Way as the Senior Designer. 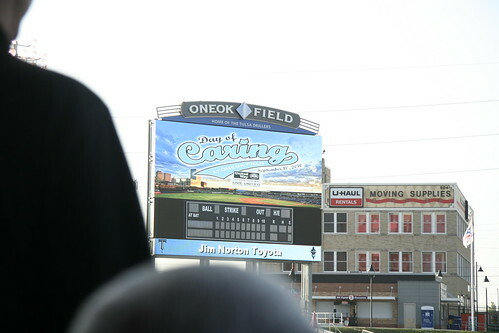 I designed the logo for this year's event and got to see it on the big scoreboard at ONEOK Field. And zoomed out. You can also see the logo on all the t-shirts! So, thanks to all the volunteers that went out today to work on volunteer projects in the Tulsa community!